True. I had the car back at the german TUV tests two weeks ago and we measured 1740kg including driver and 1660kg without driver. Half fuel tank. I measured mine with a GPS topspeed of 272kmh, but I dont know if the german market versions were ungoverned. 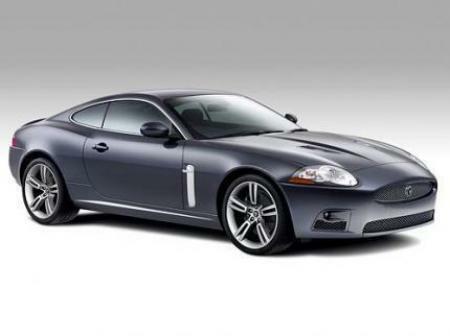 Usually the top speed should be governed to 250 on the XKR. The Top Gear track lap was heavy wet. Weight including 75kg for driver and luggage is 1770kg. Without driver but including all fluids its a maximum of 1695kg. Actually the weight can be anything between a minimum of 1665kg and a maximum of 1695kg depending on model type (Standard, Portfolio, etc.) wheels, accessories, seats and hifi. The top speed is indeed 250kph, the later '09 models had a raised limitation to 280kph. 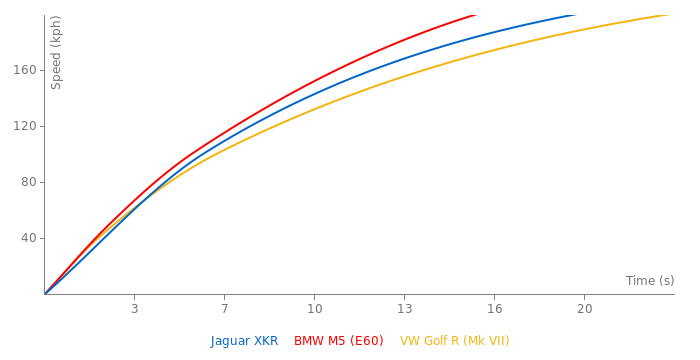 pre-2009 XKRS were also capable of doing 280kph. Later XKRS models were limited to 300kph. The laptime for Top Gear track was done on a very very very wet track with patches of snow melting. I think if given a dry track, this car should duck under 1:30 without any problem. Why can't the thing go any faster on the Top Gear track?